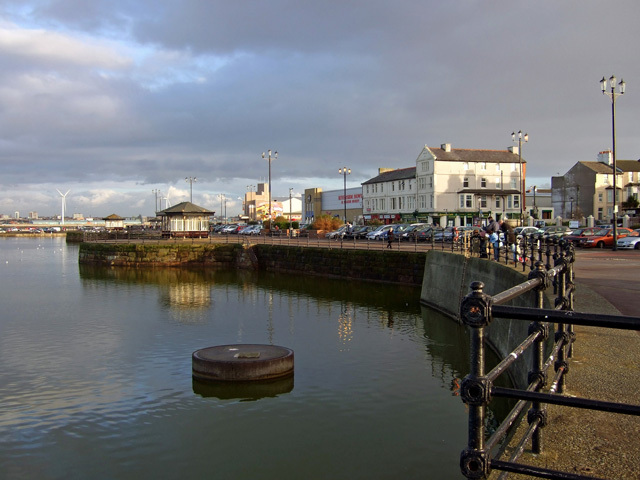 “Work on a £1.3m scheme to improve New Brighton seafront between the bottom of Victoria Parade and Rowson Street is drawing to a close. From Monday, January 12, roads adjacent to Marine Promenade, Tower Promenade and Victoria Parade will be resurfaced as the last phase of the work is carried out. This work is expected to take two weeks, (depending on weather and conditions), however, it will be completed in a sequence to ensure that any disruption is kept to a minimum. Local residents and businesses have been informed by letter as some access and parking restrictions will apply while the last phase of the work is carried out. When completed, the ‘public realm’ improvements will provide better access from the promenade to the Victoria Road area of the resort, opening up shops and businesses in that area to a greater footfall and traffic. The scheme will also provide additional parking spaces in New Brighton between the Queens Hotel and Victoria Parade. Paving and benches will also be improved. Cllr Stuart Whittingham, Wirral’s Cabinet Member for Highways and Transport, said: ‘The scheme will facilitate two-way traffic flow around the existing Town Square ‘plinth,’ and have a positive impact on businesses in Victoria Road with increased traffic and footfall. Cllr Pat Hackett, Wirral’s Cabinet Member for the Economy, said: ‘We are satisfied that when complete, this scheme will provide a further boost to the tourism and visitor economy in New Brighton by opening up businesses to increased footfall and traffic. The work is being carried out by contractor D Morgan PLC and will be funded from the Council’s Capital Programme for Regeneration activities, with some contribution from the Capital Highways Maintenance budget. As part of this work, additional re-surfacing will be required on the carriageway and pavement outside Neptune Development’s new apartment complex upon completion. This is the latest phase in the New Brighton success story that has seen the resort benefit from millions of pounds of public and private sector investment.